Tomato and basil sauce - home cooked food delivered. 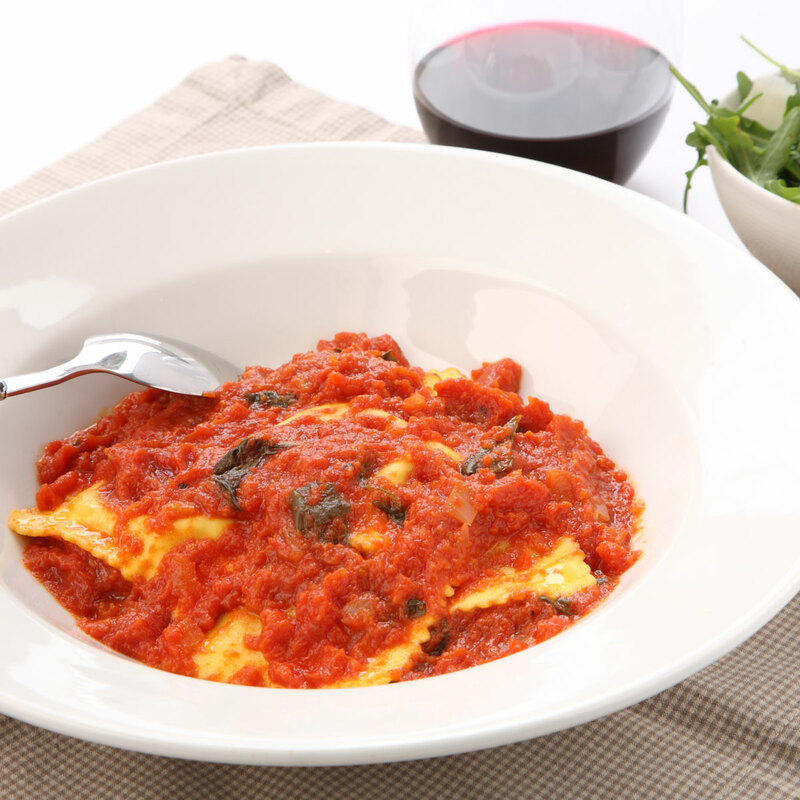 A terribly tasty Italian-style sauce, based on the finest fresh tomatoes, basil and white wine. This authentic recipe simply doesn’t compare to the supermarket sauces we’ve all come to know and tolerate. Don’t just limit yourself to pasta: this works perfectly with chicken or fish. Tomatoes, basil, onions, tomato puree, garlic, white wine, vegetable stock, seasoning, and sugar. Empty contents into a pan. Simmer gently for a few minutes until piping hot before serving.Just add your favorite pasta! Keep refrigerated, use within 7 days or freeze immediately.